I am starting this post at 12:30am, Saturday morning. Yes, it was technically supposed to go up on Friday, but I've been busy, okay? As usual, I read the assigned book at the last minute. We met Sunday morning via Google Hangouts. I started the book Saturday evening, and I finished it about three minutes before my friends and I were supposed to meet. Beau was very sweet and encouraging and understanding of my need to speed-read. Y'all, this book was SO good and SO creepy. There is a reason classics are classic--they are still amazing to read decades after the fact. Me being me, I obviously read this book with a feminist lens. I noticed two primary literary devices. 1) The reader never learns the narrator's first name. She is always referred to as Mrs. de Winter, or the second Mrs. de Winter. Her own identity is completely erased. Even her personality is erased, as she spends most of the book deferring to everyone around her and trying not to change anything. Highlight the text between the stars, since my second point is also a major spoiler if you haven't read the book. 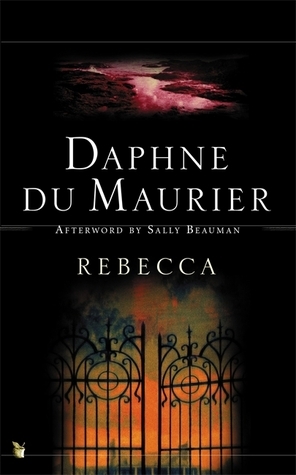 Overall, Rebecca was truly an awesome book, and I highly recommend it. Y'all know the drill. Book Club Friday! *This post contains a single affiliate link, just in case you're dying to order Rebecca off Amazon immediately. I know! It was just so good. My book club has done a good job of picking diverse books that we all enjoy, or at least make us think. I read this for the first time about two years ago after my best friend said it was one of her favorites. It definitely has that Jane Eyre, madwoman-in-the-attic vibe to it. I agree that it is written so you feel that Rebecca deserves her fate, but I'm not entirely sure if that's because of the view of domestic violence--or because we are meant to consider how society, because of how victims are portrayed, affects our perspective? Maybe I've been hyperaware? I've heard mixed things about this one. Part of me think I'd enjoy it, but I think it's one I'll have to be in the right mood for. Regardless, I'd still love to read it at some point.